Mozilla, Google, and Microsoft are all competing to be your window to the internet. Firefox, Chrome, and Internet Explorer all have their strengths and weaknesses, but their recent security updates may prompt you to change your default browser. While each browser has its strengths and weaknesses, the final choice depends upon what exactly you need from your browser. With Google Chrome entering the fiercely contested market of Internet browsers and its policy of deploying rapid updates with new features – the battle for the best browser has heated up. Lets look at how these browsers stack up against each other in Security Features. Mozilla released Firefox 5 a mere three months after the release of Firefox 4 in an effort to keep their browser fresh and address security issues more quickly. The new release patched hundreds of known issues, and made significant improvements that will keep you safe as you browse the Web. We can see further improvements in the planned releases of Firefox version 6, 7 and 8 in near future. Anti-Malware, Anti-Virus Integration, and Anti-Phishing: Firefox not only warns you when you accidentally access a site that can attack you, but it will tell you why it is not safe to access the site. In addition to that, it integrates with your Windows anti-virus software, and all browser downloads are automatically checked for viruses and malware. Firefox is constantly receiving updates about phishing and forged sites throughout the day, so if you try to visit a fraudulent site, you will be warned before you share sensitive data. 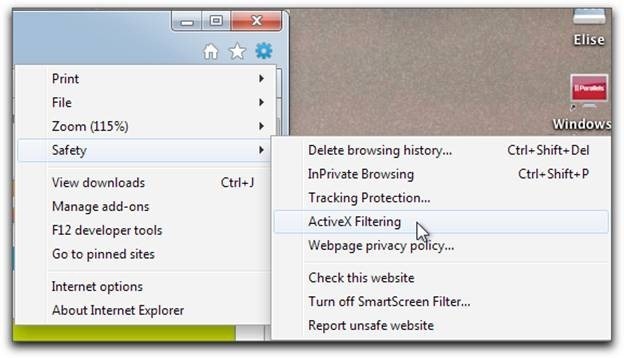 Private Browsing: If you use a shared computer and do not want to leave a trail of browser history, switch to Private Browsing mode. Instant Web Site ID: Click on a site’s favicon, and you can see information about the site’s identity. With one click you can find out whether or not a site is legitimate, and check a site out before you make a purchase or share sensitive information. 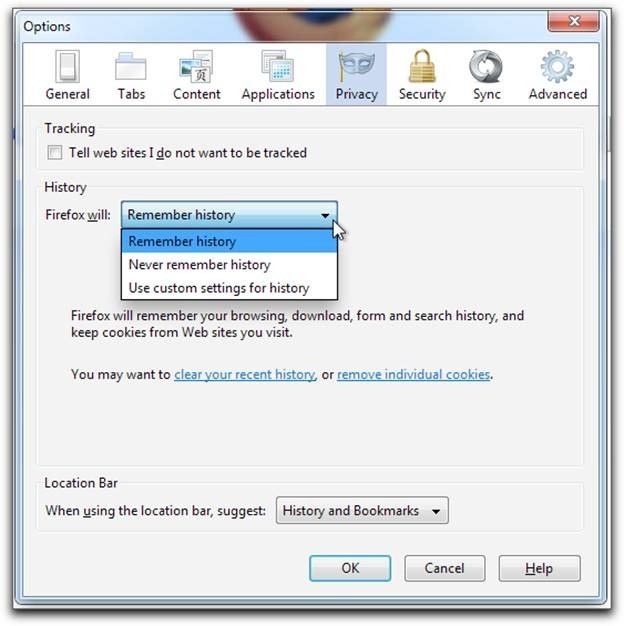 Clear Recent History and Forget This Site: If you want to clear your recent history quickly, you can erase the past few hours with just a few clicks. If you regret visiting a specific site, now you can forget the site, and all trace of ever visiting it will be removed. Do Not Track: If you want to make sure that sites are not collecting information about what you buy or browse, you can opt out of behavioural tracking, and those sites will not be able to track and sell your behaviour. Secure Updates and Secure Website Connections: Before Firefox downloads and installs any add-ons or third-party software; it will attempt to find a secure connection. On the same token, Firefox will always attempt to connect to websites via https if available. Automated Updates and Outdated Plugin Detection: If there is a new version of Firefox available, or if you have outdated plugins, Firefox will notify you so you can stay up to date with both browser and plug-in updates. Customized Security Settings and Parental Controls: You have complete control over the level of security that Firefox provides you on the web. You can enter site exceptions, choose whether or not to save passwords, and even control cookies and image loading. If you use Windows 7, Firefox can also enforce the parental controls you’ve configured on your PC, so you can stop unwanted downloads, and block access to sites for certain users in your household. Content Security Policy: Firefox can now shut down scripting attacks by communicating with the site to determine which content is legitimate, and block all content that the site does not deem legitimate. Chrome entered the browser market, and immediately blew us away with its speed. Google’s attention to detail, concern about security, and desire to pull ahead of the competition has driven them to release browser updates on a very rapid schedule. Chrome 12, the most recent release, has made some significant strides toward better security. Enhancements to Safe Browsing Mode: Chrome will now provide warnings about malicious downloads. If you make an attempt to download something that Chromes believes is suspicious, you will get a warning and be prompted to discard or save the file. Google will use the list of malicious Web sites published by the Safe Browsing API to determine whether or not a download is malicious. Flash Cookie Control: Adobe released Flash Player 10.3 with enhanced privacy controls, and Chrome 12 allows you to wipe data stored by Flash and other installed browser plugins. Adobe and Google worked together to integrate this feature (Flash LSO Deletion) into Chrome. Sandboxing: The sandboxing feature in Chrome helps prevent malware from installing itself on your computer or using what happens in one browser tab to affect what happens in another. The sandbox adds an additional layer of protection to your browser by protecting against malicious web pages that try to leave programs on your computer, monitor your web activities, or steal private information from your hard drive. Auto-Updates: To make sure that you are protected by the latest security updates, Chrome checks for updates regularly to make sure that it’s always kept up-to-date. The update check ensures that your version of Chrome is automatically updated with the latest security features and fixes without any action required on your part. Microsoft has worked hard to enhance security for Internet Explorer users. Their latest release, Internet Explorer 9, includes many improvements that will help to keep you safe as you surf the Web. Here are some of the newest security updates and features in IE 9, most of which are conveniently located on the Safety menu. Tracking Protection Lists: Internet Explorer 9 can control whether or not your browser can communicate with specific websites. This control is determined by a Tracking Protection List, which prevents certain sites from gathering information about you as you surf. Domain Highlighting: When you visit a website, IE 9 will clearly display the real website address for every site you visit, so you can avoid spoofed sites and misleading addresses created to trick you and phish information from you. ActiveX, SmartScreen, and Cross Site Scripting (XSS) Filters: IE 9 allows you to control and block ActiveX from all sites, protects you from phishing attempts and malware with the SmartScreen filter, and prevents scripting attacks from fraudulent websites using Cross Site Scripting filters. 128-bit Secure Sockets Layer (SSL) Connections: If you connect to secure sites, like online banking sites, web-based stores, or medical sites, IE 9 will ensure that you use a 128-bit SSL connection to protect your personal information. InPrivate Browsing and Privacy Settings for Cookies: If you want to browse the Web without saving data to your PC and leaving a trail of cookies, history, and temporary files, you can use InPrivate Browsing. 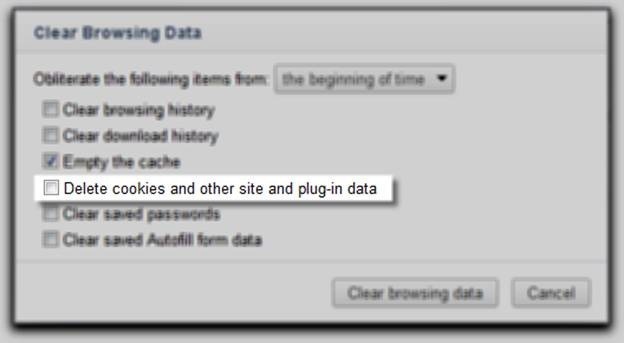 Alternatively, if you just want to control how IE 9 handles cookies, you can adjust your cookie settings specifically. Mozilla, Microsoft, and Google made a lot of major updates to their new browsers in the name of security. All of them placed a heavy emphasis on protecting against malware, thwarting phishing attempts, preserving privacy, encrypting your data, and giving you control over how you are tracked. Microsoft and Mozilla also included updates that will help users determine whether or not they are on an authentic site with Domain Highlighting and Instant Web Site ID respectively. All three of these heavy hitters in the browser market have different strategies for protecting users while they browse. Google is on a much shorter update schedule than their competitors, and Mozilla has drastically shortened their release cycle to get security updates and new features to the public sooner. Now that all of the major browser makers are taking security more seriously, you can expect to see security fixes and features implemented more frequently. The final decision about using the browser you think is most secure or most suited to your needs can be made by reading the browser specific security features. 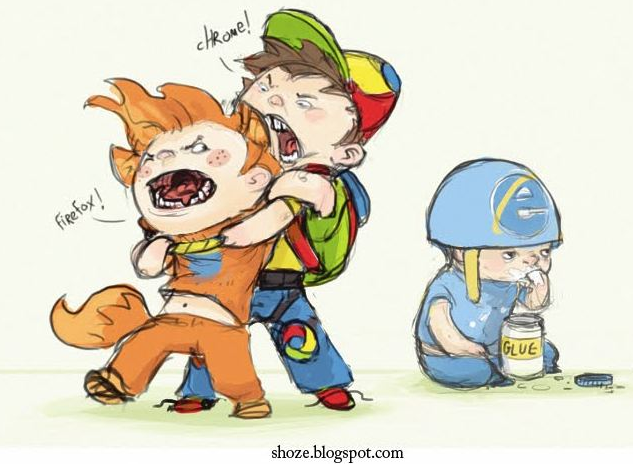 Although at present – Internet Explorer is known to be the most secure browser when it comes to blocking Malware.